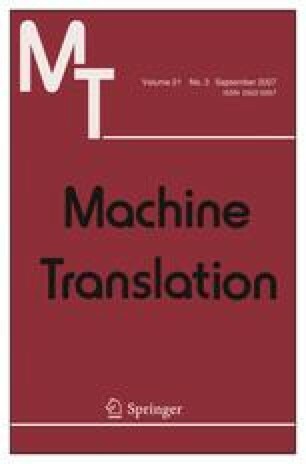 This paper proposes a novel method for phrase-based statistical machine translation based on the use of a pivot language. To translate between languages L s and L t with limited bilingual resources, we bring in a third language, L p , called the pivot language. For the language pairs L s − L p and L p − L t , there exist large bilingual corpora. Using only L s − L p and L p − L t bilingual corpora, we can build a translation model for L s − L t . The advantage of this method lies in the fact that we can perform translation between L s and L t even if there is no bilingual corpus available for this language pair. Using BLEU as a metric, our pivot language approach significantly outperforms the standard model trained on a small bilingual corpus. Moreover, with a small L s − L t bilingual corpus available, our method can further improve translation quality by using the additional L s − L p and L p − L t bilingual corpora.